The map was created using different layers. Hey are you using the output on the web? believe it or not this isn’t the result of Tiled, but rather whatever is rendering the JSON. Check out tip #2 and see if that helps! Extruding/padding your tiles is also mentioned there like @the-simian did in his talk, and if you want to use non-integer scaling factors and place your map at sub-pixel positions, this would be the way to avoid those lines. However if you just do that the pixels will keep this slight “jittering”, so the preferred way to avoid it in my opinion is to use an integer zoom factor and round the map’s position such that it’s always aligned to physical pixels. Bjorn just said most of what I would have followed up with. Just to clarify what I meant by ‘rendering the JSON’. Tiled as an editor is agnostic as to what consumes its output. 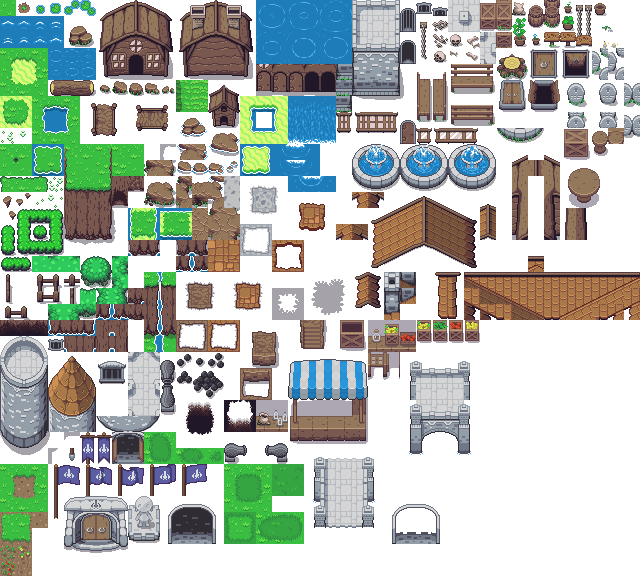 You can make a map in Tiled and load it into many things, and the output is often times JSON. In your case, Unity is the engine that is consuming Tiled’s output and managing rendering. In my talk I linked, it’s a web framework called Phaser. As Bjorn mentioned, the tile padding (or tile extruding) as a concept can apply to anything, not just Phaser as is in my talk. Judging from the way the lines (artifacts) look, my bet is that is still what is causing your issue.